In a time where music is portable, vinyl records are making a comeback with more than six million sold in 2013 in the United States and Memphis music fans are no exception. Vinyl sales are up from 0.3 million sales in 1993 and 1.4 million in 2003, according to The Statistics Portal. 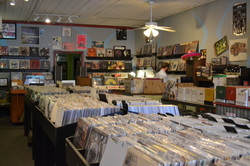 Zac Ives, 38-year-old co-owner of Goner Records on 2152 Young Ave. in Memphis, Tenn. said record sales are increasing because people are beginning to understand the value in tangible things. Last year, Ives sold 26,000 vinyl records of varying genres including punk rock, garage, psychedelic, soul, jazz, blues and indie. Billboard Biz reports that vinyl now makes up 2 percent of all music sells in the United States while last year digital music sales dropped almost 6 percent and CD sales fell 14.5 percent. Ives, who grew up in Oklahoma City, Okla., and moved to Memphis in 2000, said vinyl sounds better than digital music and CDs. In addition to having more than 20,000 vinyl records in-stock, which are available to international and local clientele, Ives said he also keeps turntables in the store for sale. New turntables cost $135, and the price of a used one varies. Turntables are portable and can be plugged in. Goner Record shelves hold albums from artists such as The Beatles, Green Day and others. 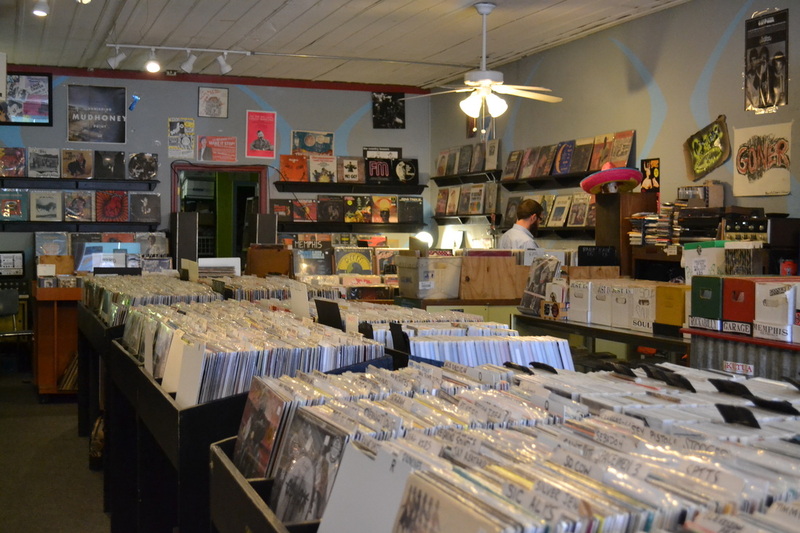 But, newer artists such as Adele and Lil Wayne can be found on vinyl online and in stores like Spin Street Music on 3484 Poplar Ave.
Ives said people that gathered records for decades have sold collections to his store. The most merchandise he bought off a single person was about three or four thousand records. Jimmy Brock, 50, owns about 300 records that he saved from his days as a disk jockey in the 1980s. Brock, who grew up in St. Louis and Martin, Tenn. was known as DJ Touché’ and later Music Man J.B. because people kept pronouncing the former as DJ Touchy. 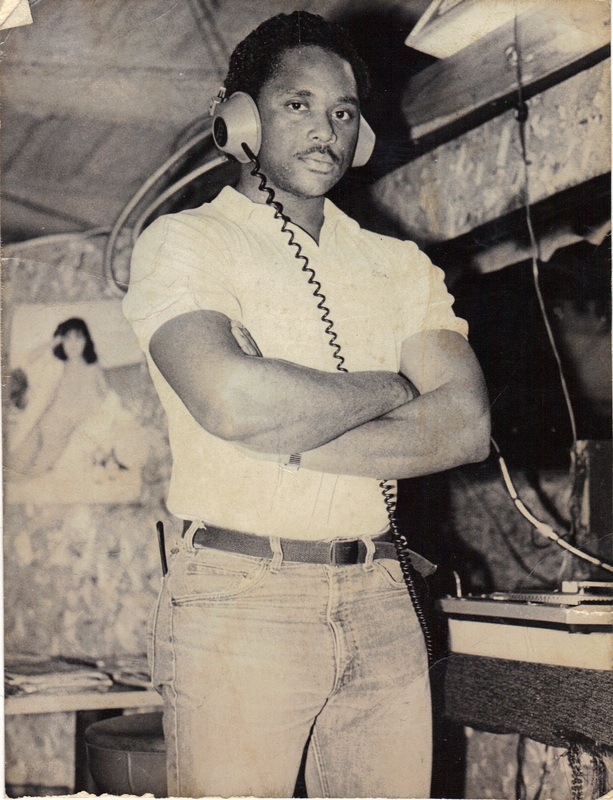 Brock, who had a cousin that was a club owner in Martin, would watch DJs come in and how they controlled the crowd at night. When he got old enough to enter the club scene, Brock would audition or land shows by word of mouth. During his nine-year career, Brock collected records, which he carried around in two to three milk crates to each show. 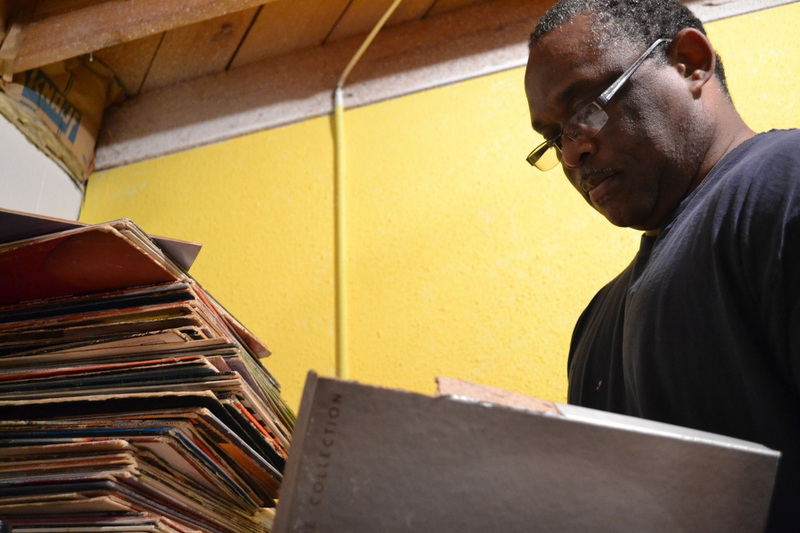 He said he held on to all of his records for the past 25 years because of his times as a DJ and because there was no reason to get rid of them. The last time he listened to his collection was Christmas 2013. Brock—whose first albums were Kiss’s Destroyer and Peter Frampton’s Frampton Comes Alive, which he got when he was 12 years old—said he thinks vinyl sales are increasing again because of nostalgia. Almost a mass communication major because of his aspirations to be a radio personality, Brock studied computer science with a minor in mathematics in college. Whether vinyl is more expensive than newer music depends on many factors. Older vinyl records can are cheaper than vinyl by new artists. Adele’s 2011 CD, “21” cost about $12 on Amazon.com. On vinyl, the album costs about $17 new and $15 used. But, shoppers can go to iTunes and buy songs individually from the album for $1.29 each plus tax. Latonya Sanders, 34, said she also thinks vinyl’s rise in sales has to do with nostalgia. A vinyl collector with about 300 of her own albums that were passed down to her from aunts and uncles, she said she doesn’t own an mp3 player. She said though she loves records, like CDs, they can scratch and that digital music has a continuous clarity.